At the wedding ceremony rehearsal, the maid-of-honour says, “Hey, I think that it would be really cool for the wedding officiator to stand with their back to the wedding guests! Don’t you!” At first, this suggestion seems to defy convention, and provide an interesting option to the marrying couple. Even gives the illusion of diminishing the perceived traditional dominance of the officiator in a standard pose and positioning. Without thinking it through, the bride and groom agree, and arrange accordingly. This is great, bride and groom will really stand out, the wedding guests will see them better……! So, what’s wrong with this? 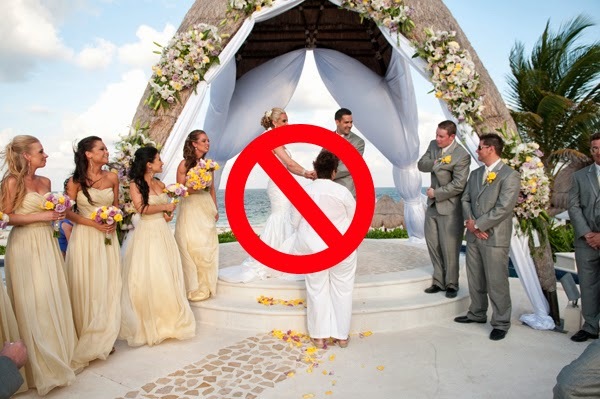 Reason # 1 – This Wedding Officiator Says, “STOP!” – The Foreground Is Called The Foreground For A Reason! Who is in the foreground will more naturally stand out in the pictures. This is also true for the live audience. Especially, when, the wedding officiator is on the same level as the guests. 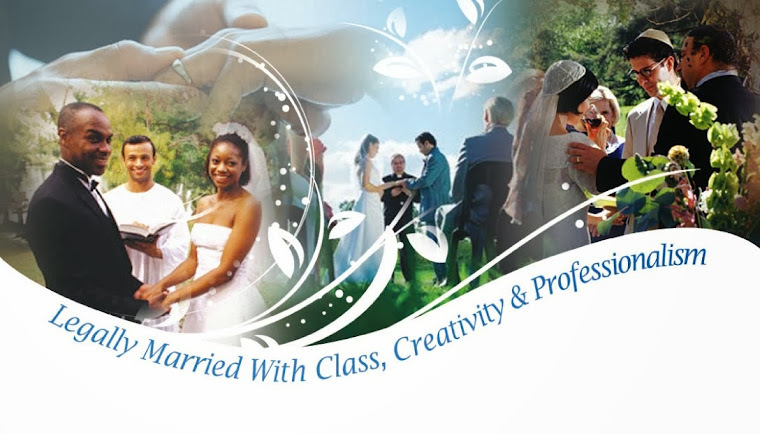 And, if there is not much difference in the elevation between the officiant’s position and the marrying couple. See this publicly posted picture of such a configuration. Do You Think Reason # 1 Is Valid?